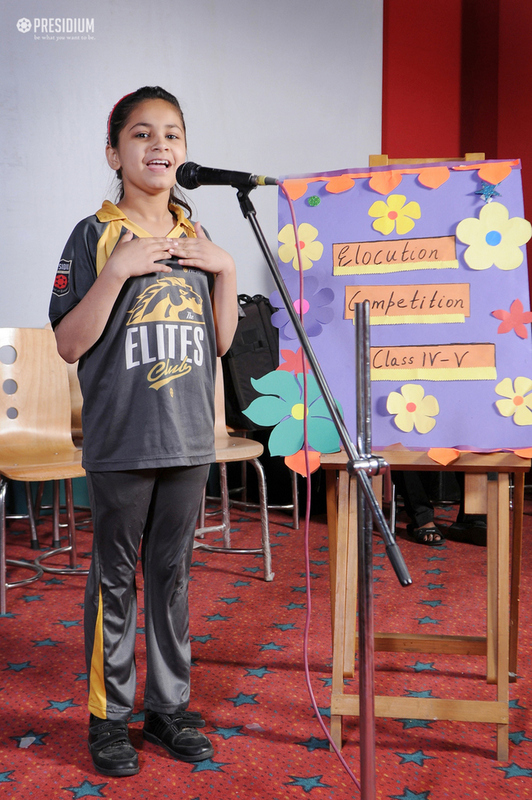 In an effort to lay special emphasis on building communication and oratory skills of our students of grades 4 and 5, an Elocution Competition was recently organized at Presidium, Faridabad. In this competition, various topics such as preservation of water, deforestation, my favourite famous personality and nature, were covered. 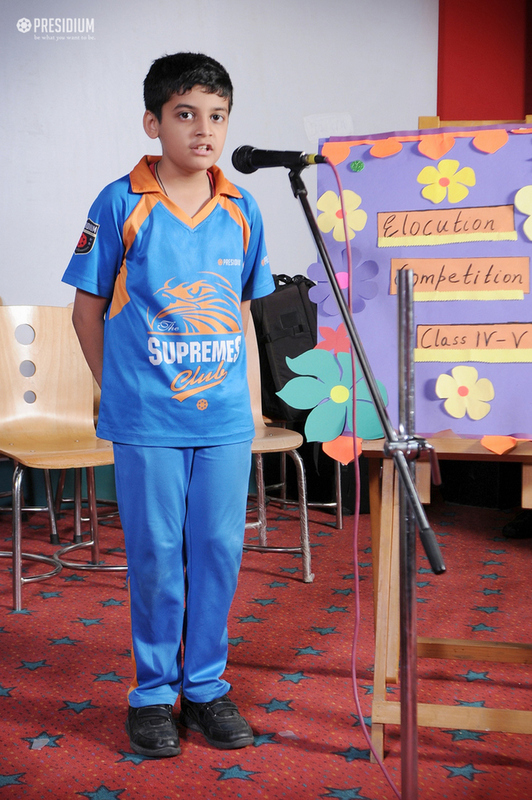 The children participated enthusiastically in the competition and delivered their speeches confidently. 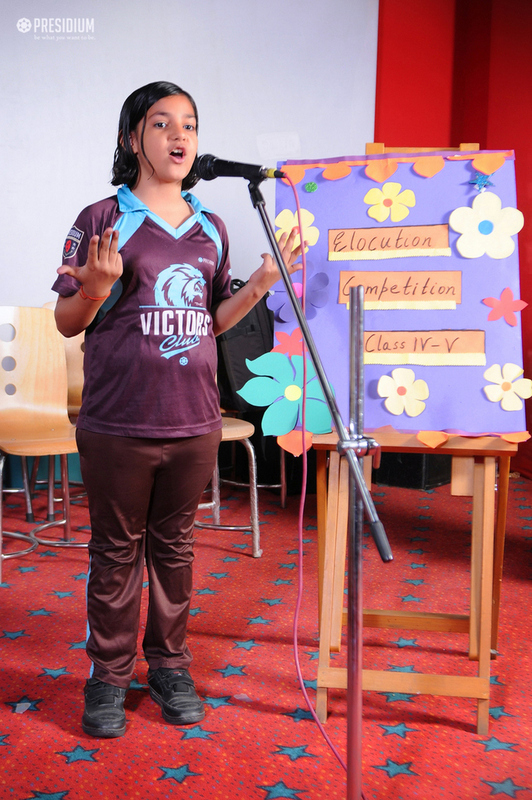 The program tested various aspects of language, like pronunciation, accent, diction, knowledge, body language and other facial expressions and gestures. 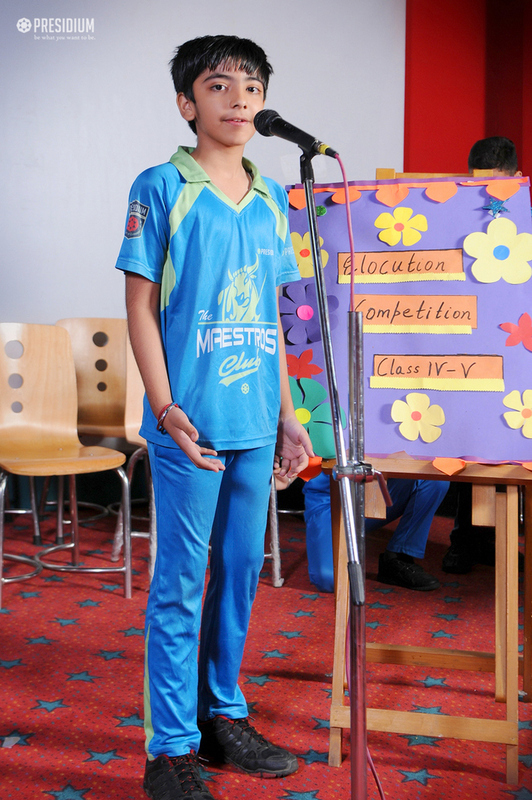 Overall, the competition proved extremely enlightening and informative for the young Presidians!